Classical methods such as A* and IDA* are a popular and successful choice for one-player games. However, they fail without an accurate admissible evaluation function. 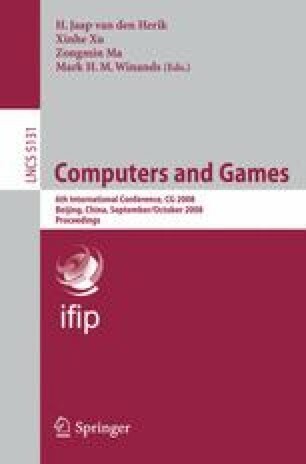 In this paper we investigate whether Monte-Carlo Tree Search (MCTS) is an interesting alternative for one-player games where A* and IDA* methods do not perform well. Therefore, we propose a new MCTS variant, called Single-Player Monte-Carlo Tree Search (SP-MCTS). The selection and backpropagation strategy in SP-MCTS are different from standard MCTS. Moreover, SP-MCTS makes use of a straightforward Meta-Search extension. We tested the method on the puzzle SameGame. It turned out that our SP-MCTS program gained the highest score so far on the standardized test set.